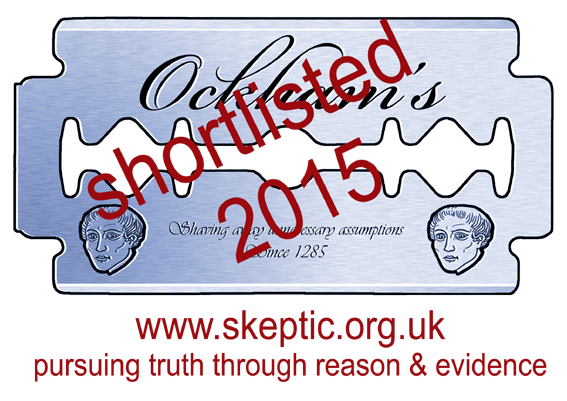 This week on Taking The Myth, Stephen Knight (@Gspellchecker) and Iram Ramzan (@Iram_Ramzan) discuss the big topics. 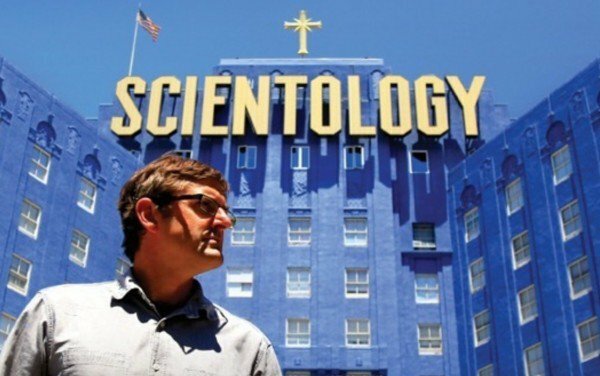 We talk about Louis Theroux’s ‘My Scientology Movie’, CAGE, 9/11 Conspiracy theories, ‘No Hijab Day’, Iranian chess competitions and Ascotsman Abroad (@AScotsmanAbroad) joins us to put the Catholic Church in their place. And of course, the ASLAN Awards! He was ripped apart by the panel on ITV’s “Loose Women” and called a racist and xenophobe by June Sarpong, while all others had concerned frowns about his misdemeanour. Only one brought up the death threats against him, but it wasn’t the main point, and should have been. Julie Siddiqi of the Islamic Society of Britain (in the Huffington Post) has also called for an apology and said he “went too far”. And she thought she was being nice and reasonable. She is the bottom rung of propping up the absolute fervency. Maybe she does not realise this. Or maybe she does. These days, I have no idea. This is too much now in many ways, with even non-Muslim secular, modern women (on that ITV program) perpetuating a blasphemy law and siding with religious puritan, conservative orthodoxy. Perhaps they do not know what they they are doing. I really have no idea, apart from them being terrified of violence of course. Yes, be careful in saying “If there was a program to stop white people being far-right”, because as stated, there is. It’s Prevent, so I’m told. The Guardian has stopped comments on articles regarding Islam. The reason for this (I surmise), was that the below the line comments did not follow the paper’s agenda in the whitewashing of Islamic actions, preaching and indoctrination. Instead, this paper prefers the ‘ostrich approach’ of not allowing any dissenting voices by either silencing them or calling them ‘Islamophobic’ or racist. When even the lefty readership of the Guardian goes against the paper’s unrelenting support for frankly, fascist religions, just because they are ‘brown religions’ you know something is wrong. There is still plenty of criticism allowed against Christianity, of course. I was not surprised when you mentioned the Guardian publishing an unchallenged article regarding PREVENT, of course critical of it. Maajid Nawaz recently talked about this (I think on his LBC programme – sorry I couldn’t find it to post the link). Maajid is suspicious of most ‘leaders’ in the Muslim community rejecting PREVENT and calling it (well you can guess). He suggest changing the name to something more positive and encouraging the community to co-operate. What these SJWs do not realise is that they are playing into the right wing parties hands with this approach. When only the right wing are willing to call out this problem we really have to challenge this PC approach (what Maajid calls the bigotry of low expectations). There is a very interesting analyze of the economic side of the sexual abuse scandal in the Catholic Church in “Go’s Bankers” (p. 398-) of Gerald Posner.